If you ever feel like you prayers are not heard or that your laws of attraction are more like Murphy’s law, then this is a must-listen. Sean Michael Campbell, Founder of the Theta Healing Heart Inc., stops by to discuss the powers of thetahealing and (in simple and applicable language) how we can access our theta brain waves in our subconscious to release negative blocks... to replace with the power of positivity to create physical and emotional healing. Learn his personal story of healing from a debilitating disease, as well as theta healing techniques that you too can incorporate into your everyday life to empower your subconscious to have the power and courage to make better decisions. Find out “the secret” left out (until now) about the true working behind the Laws of Attraction. 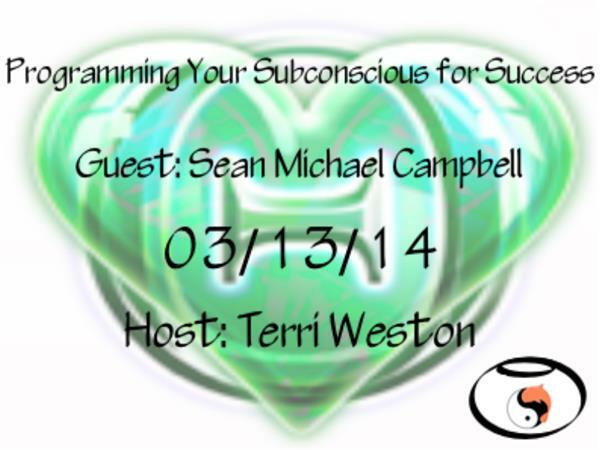 Call in & take the plunge for an individual on-air experience... or listen in to learn more about how to reprogram your subconscious for success.